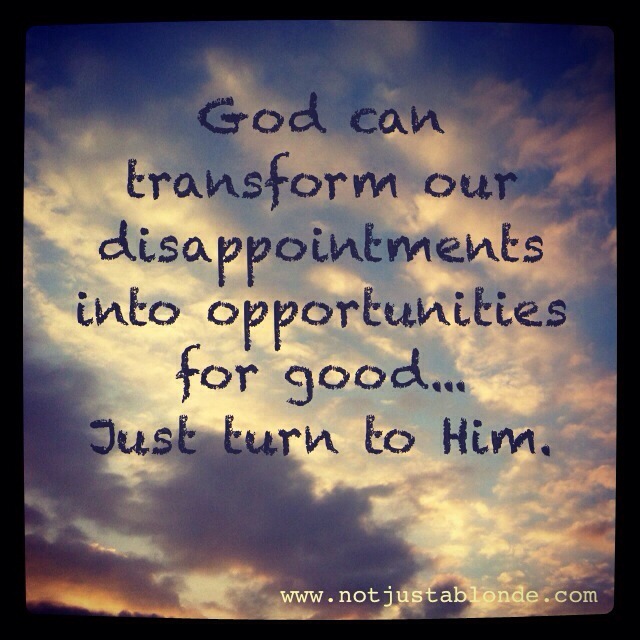 God can transform any disappointment into an opportunity for good if we but turn to Him for inspiration and direction. Our God is a God of Miracles. God likes to show Himself in our darkest hours that we may know He is always with us and He will always take care of us and show us through our pain to a brighter day. Share with God your heart… open yourself up to the opportunity for God to transform your disappointment and pain into something better than you could imagine on your own!